Looking for replacement windows that will transform the look of your whole home? What about increase your comfort level and allow you to spend less on heating and cooling? We have the solution here at Renewal by Andersen® of Montana. We offer comprehensive services in Miles City MT, a small community that just so happens to be the county seat of Custer County and home to 8,400 people. We know that you are proud of your town and your home, so let us help you reflect that pride with brand new replacement windows and doors. When you enlist the help of our factory-trained experts for replacement windows in Miles City MT, you’ll get attention to detail, accurate measurements, and a weather-tight seal that lasts the test of time. Our windows are easy to clean and maintain, plus they lock in the heat and cold no matter what the season. And with products protected by one of the strongest warranties you will ever find*, you get additional peace of mind as well as the knowledge that Renewal by Andersen’s High Performance™ Low-E4® SmartSun™ glass is 70% more energy efficient in summer and 45% more energy efficient in winter as compared to ordinary dual panel glass**. Our exclusive Fibrex® frame material ensures you never have to paint again, plus they won’t ever corrode, pit or chip like wood or vinyl will. Sit down with our design team who can help you come up with the perfect solution to meet your budget and style needs. 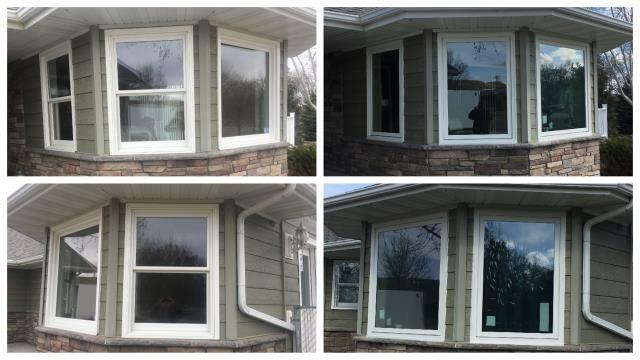 Renewal by Andersen of Montana is your top choice when it comes to the best windows and doors. To begin your project on the right foot, give us a call for a free, no-obligation estimate at (406) 259-3944. We are located at 619 Daniel St Billings, MT 59101. Our expert installers replaced old double hung and picture windows with 4 beautiful new picture windows from Renewal by Andersen on this home in Miles City.